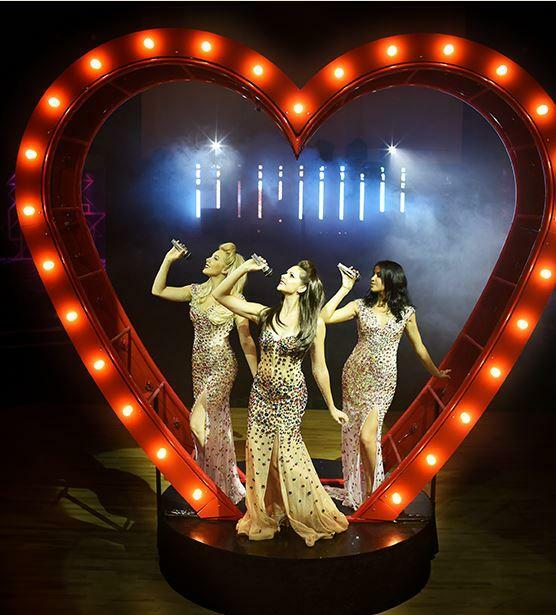 Introducing the sensational new prop designed! 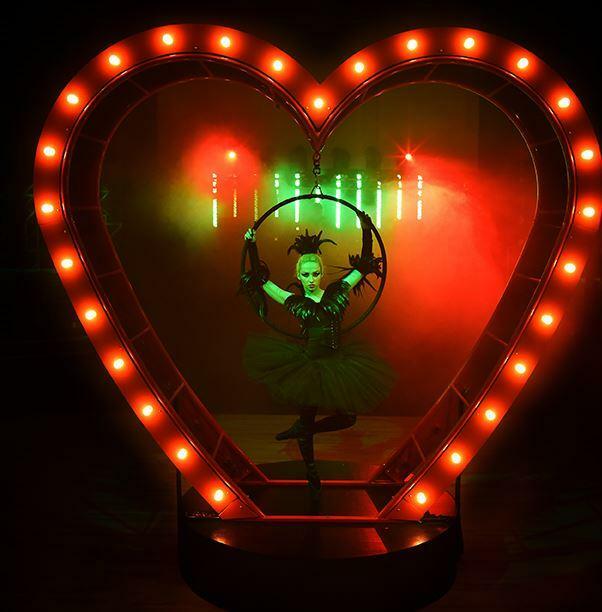 This exclusive giant light up heart prop can showcase almost any act you can imagine from aerial, burlesque, hand balance, singers, dancers and much more. 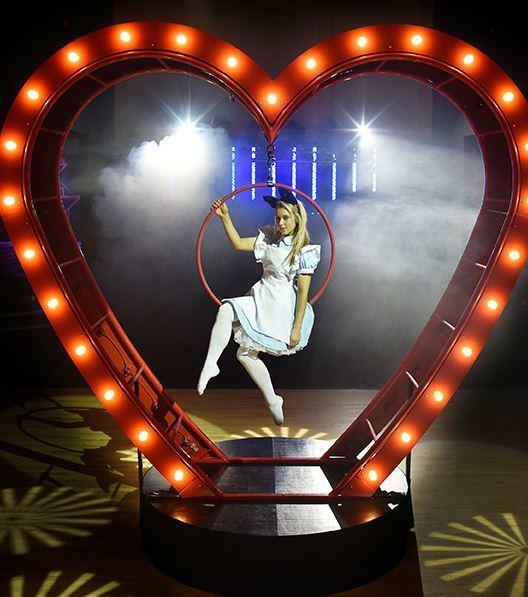 It can also be used to theme a room as decoration, used as an entrance to an event or even a quirky photo-booth. This is a unique, never seen before, elegant prop is sure to impress your guests, so let your imagination run wild. A wide variety of themes are achievable with this eye catching prop, and here at Evolve are always coming up with amazing and extra-ordinary new ideas and themes for how it can be used. 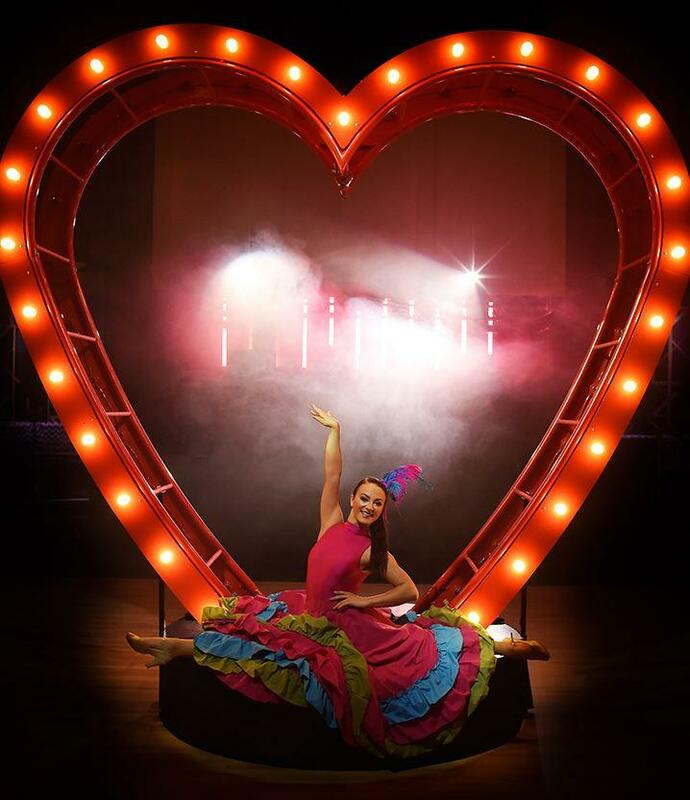 The Heart loads through a single doorway which is 75cm or wider, it can’t go into lifts (unless service lift), or round sharp corners.The Aerial Prop Heart in London is perfect for party entertainment, private parties, corporate party entertainment, stage cabaret entertainment, themed party entertainment, conference entertainment, international event entertainment, birthday party entertainment, stag party entertainment, drinks party entertainment, award ceremonies, bar mitzvah entertainment, bat mitzvah entertainment. ★ Let your imagination run wild to find unique ways for this prop to be used.